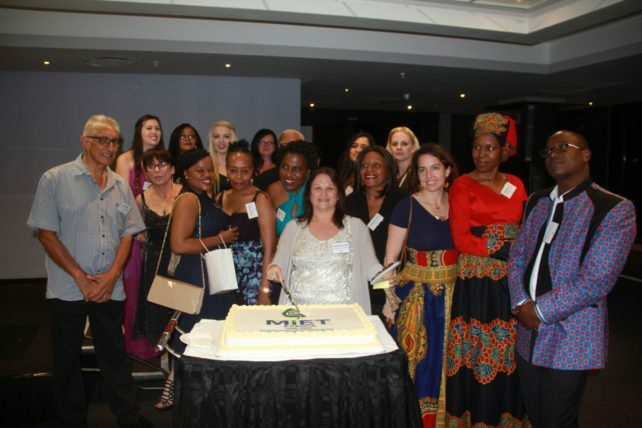 To commemorate this milestone in our history, and to thank our partners for their support, on Thursday, 24 November, MIET AFRICA hosted a cocktail function attended by friends and partners including representatives from Ministries of Education from all 15 SADC Member States, who were in Durban to attend the annual Sharing Meeting of SADC’s Care and Support for Teaching and Learning Programme (CSTL). Guest speakers included Mrs Wilna Botha, one of MIET AFRICA’s founders, and Prof Volmink, chairperson of MIET AFRICA’s Board of Trustees. In her speech, Ms Lomthandazo Mavimbela from the SADC Secretariat spoke of MIET AFRICA as an important regional partner in working towards realizing quality education for all, while Mr Mathanzima Mweli, Director General of the Department of Basic Education, acknowledged MIET AFRICA’s role in influencing the department to recognize and address the social and economic barriers faced by learners impeding their access to quality education.